​Congratulations to Teresa Fletcher, lead advanced practice provider (APP) in adolescent medicine, for being named the 2018 Pediatric Nurse Practitioner (PNP) of the Year by the Ohio Chapter of the National Association of Pediatric Nurse Practitioners (NAPNAP). Teresa was described by her nominator, Jill Smith, RN, another lead APP, as one of the most dedicated adolescent medicine PNPs she knows. Although she originally wanted to be a physician, a conversation with her cousin changed her mind. Teresa is very active on the Advance Practice Council and serves as the co-chair of the APP spring conference. She is the APP representative on the Adolescent Medicine Update presented each year by the hospital and often presents at the conferences. Teresa says it became apparent working with children was her calling after her first day as a student nurse in 2005. Teresa says precepting is important to her because she wouldn’t be where she is without the great preceptors she had. Ever so humble, Teresa cites the amazing team in Adolescent Medicine for her ability to do her job well. 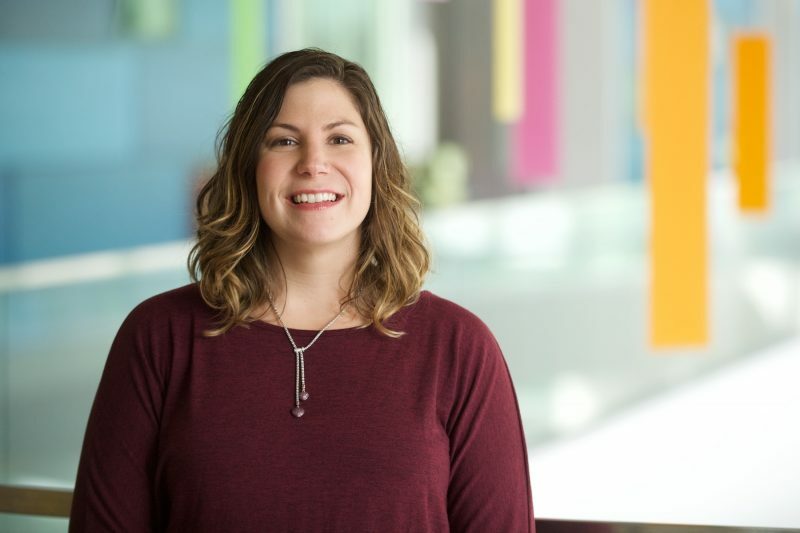 “It’s nice to know that people have noticed the work I put in, but I wouldn’t be able to do the work that I do without my amazing team in Adolescent Medicine – specifically Dr. (James) Fitzgibbon who has been a guiding light for my career,” she said. Teresa and her husband, Kevin, live in Medina with their 4- and 2-year-old daughters, Rose and Grace. Outside of work Teresa enjoys spending time with her family going to parks, zoos and museums.